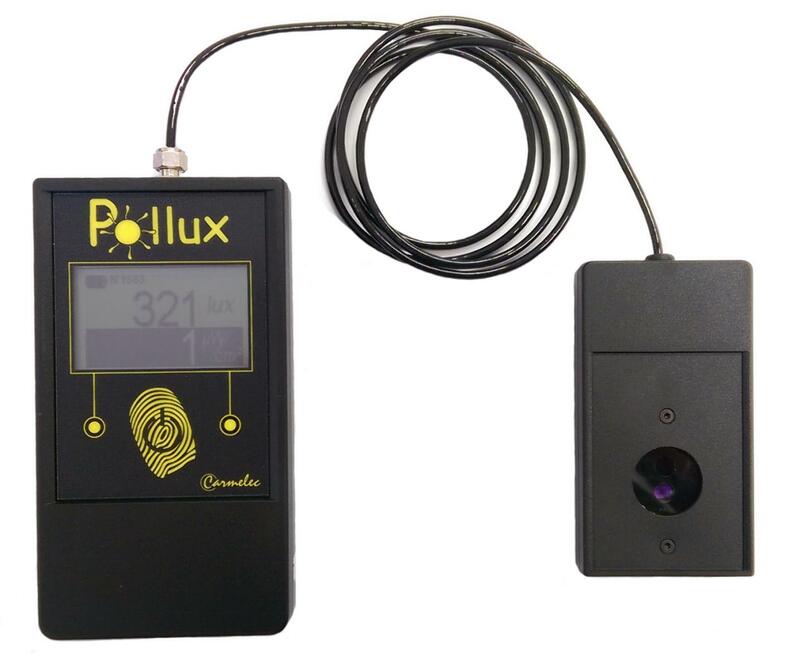 Johnson and Allen are proud to be the sole UK agents for the Pollux UV-A Radiometer and white light Luxmeter. Pollux uses a back-lit digital screen to display both the UV-A and white components of a light source simultaneously. Pollux is extremely reliable especially when compared to cheaper units on the market - Important when you consider why these readings need to be made in the first place. Pollux is battery powered, easy to use and complies with all known relevant aerospace and general engineering standards. Every radiometer Johnson & Allen supply is serialised, fully calibrated and includes the corresponding paperwork with re-calibration services available from our Sheffield branch. Pollux uses a smart measurement processing system which is built around an algorithm designed to perform time sliding averaging of all measurements. The algorithm constantly checks that the displayed figures are coherent with the sensor’s capabilities to increase reliability in measurements. If an error is detected the measurement will flash while the sliding average table is erased and restarted. Simply put, only results that are NOT flashing should be taken. If the measurements ARE flashing then light output is varying too much for an accurate or meaningful reading.